BTS nominated for 2018 American Music Awards. September. 14, 2018 07:22. imi@donga.com. BTS has received a nomination for the 2018 American Music Awards as the first South Korean boy band to do so. On Wednesday (local time), American Music Awards announced that BTS has been nominated in the Favorite Social Artist category for the major music award ceremony to be held next month. American Music Awards is one of the largest music awards in the United States along with Billboard Music Awards that select winners based on Billboard charts performance and other popularity indicators. In 2012, Psy, a South Korean male singer, won New Media Honor Award in the 2012 American Music Awards. 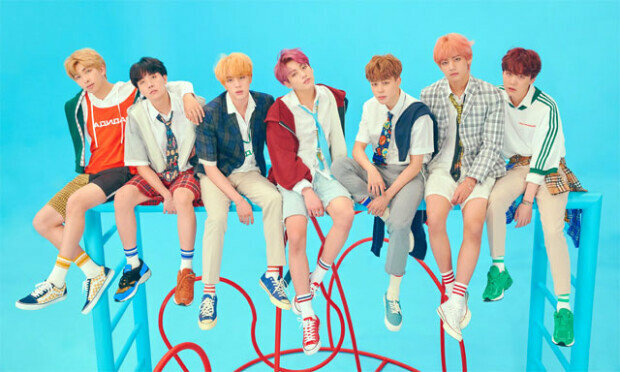 BTS has been nominated along with other pop stars such as Ariana Grande, Cardi B, Shawn Mendes, and Demi Lovato in the Favorite Social Artist category, which reflects the artists’ popularity on social media platforms. The winner will be chosen by a fan vote, which starts on September 24. The ceremony will take place at Microsoft Theater in Los Angeles on October 9. In the 2018 Billboard Music Awards, BTS won Top Social Artist Award for the second time in a row this year. The South Korean boy band also showed up on stage to celebrate “America’s Got Talent,” a popular talent show competition on NBC. BTS boasted a perfect dance and singing performance for “IDOL,” their latest hit number. A day earlier, the Korean pop stars visited the Grammy Museum in Los Angeles and had talks with its art director.